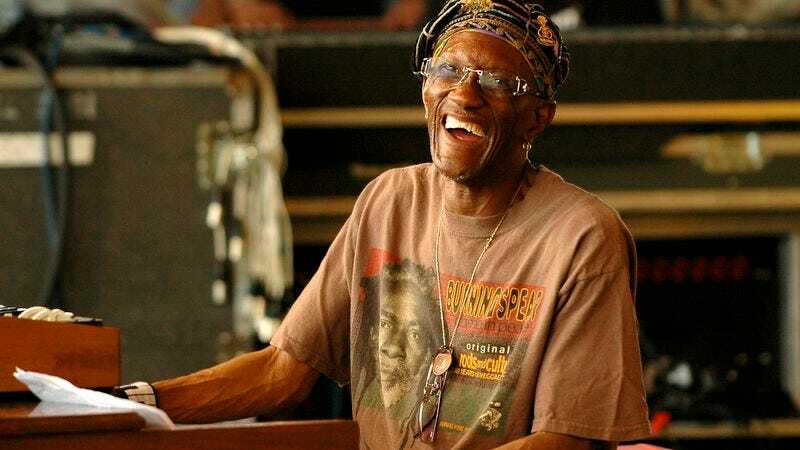 Pitchfork is reporting that Bernie Worrell, the immensely prolific keyboardist from pioneering funk collective Parliament/Funkadelic, and a frequent collaborator with new wave legends Talking Heads, has died. Worrell was 72, and had been suffering from lung cancer for some time. Worrell continued to tour and record for the next 40 years, working with artists ranging from The B-52s’ Fred Schnieder, to Mos Def, to Les Claypool and guitarist Buckethead (for a supergroup operating under the name “Colonel Claypool’s Bucket of Bernie Brains,” which might be the most elaborately strange band name in a career that was absolutely full of them.) Worrell also played frequently with his own orchestra, releasing a dozen solo albums over the course of his long career. Worrell continued to perform throughout the 2010s, throwing much of his energy behind the Khu.éex’ project, which attempts to adapt Tlingit music—traditionally performed by the native people of the Pacific Northwest—for modern audiences. He also reunited with Demme in 2015, appearing as himself in the director’s Meryl Streep vehicle Riki And The Flash. In early 2016, though, Worrell announced that he was suffering from stage-four lung cancer. Outporings of support from the musical community were swift in coming, with David Byrne and others organizing efforts to raise money to help cover his medical costs. But while his influence stretched to almost every corner of the musical world, Worrell will probably best be remembered for his work with Parliament in the 1970s, where he helped to not just propagate the funk sound, but to define what the idea of “funk” even meant. His keyboard work on songs like “Mothership Connection” and “Aqua Boogie”—confident, experimental, and infused with an irresistible energy—underlined not just funk, but the world of R&B music and rock for decades yet to come.